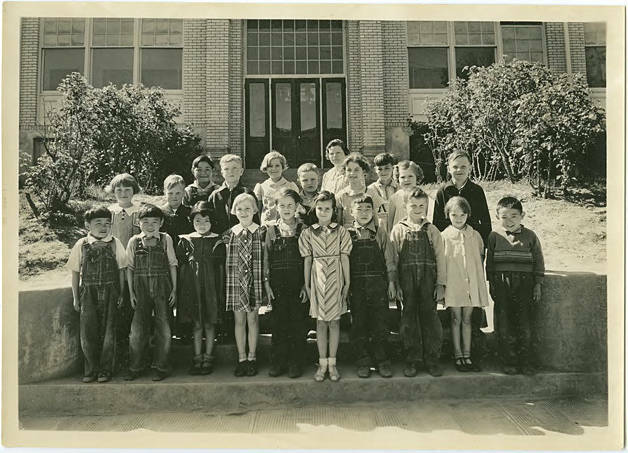 Black and white image of a group of young children gathered on the sidewalk outside a brick school building. Gaston was one of the larger schools in the area, listing 158 students from ages 4 - 19 and drawing students from both Yamhill and Washington County. See WCMpic_012978, WCmpic_012980, for another image from this school year at Gaston.